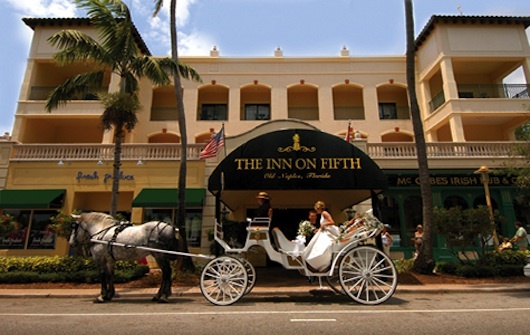 Horse carriage rides are available in Old Naples (downtown). The carriages are white and very elegant. They do pick ups on 3rd street south in front of Tommy Bahamas and on 5th Ave South by McCabe's Irish Pub. But they'll also do pick ups and tours through Crayton Cove, the Dock, the Pier, the Palm Cottage, Cambier Park, and Tin City. The company's name that runs it is called Charlene's Classic Carriages "The Elegant Carriage Company". You can also visit their website for some more pictures and information. Have A Great Story About Horse Carriage Rides? Do you have a great story about this OR have you experienced the horse carriage in Old Naples? Tell us about it!